If you don't have a Reply account yet, here's how to create one in under a minute of your time. 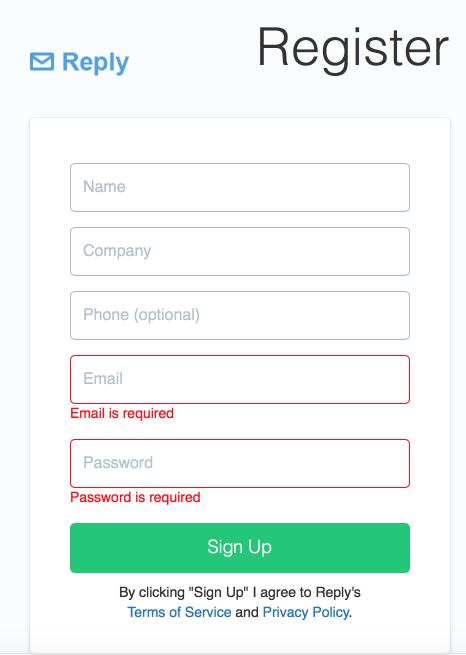 Please register a user account at Reply here - https://run.reply.io/register - enter your email address and set the password as required. After signing up, please activate your account via the link sent to your email address. If you never received an automated email with a confirmation link, please contact us via our Live Chat or by sending an email to [email protected]. You can test Reply for 14 days for free.